Farouk is Co-Founder, inaugural Managing Director and Director of Honey Care Africa, an innovative fair trade private sector Social Enterprise. He’s now the Senior Technical Advisor for Economic Development at CARE. 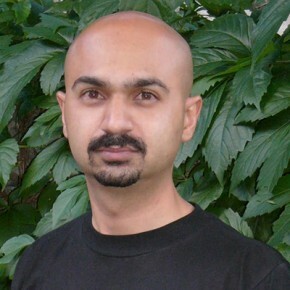 In 2005, Farouk became the Director of CARE Enterprise Partners, a social venture capital unit of CARE Canada. Later, he was appointed to CARE Canada’s Strategic Programs team and also worked with CARE USA’s Economic Development Unit to provide technical advice on a number of economic and enterprise development projects being implemented by CARE in Africa and Asia. In 2008, Farouk assumed the position of Senior Regional Technical Advisor in the Economic Development Unit (EDU) at CARE USA. In January 2010, Farouk was named a Senior Ashoka Fellow, a lifetime honour awarded by Ashoka, a global organization of social entrepreneurs. In 2011, he co-founded Farm Shop Trust, a not-for-profit social enterprise based in Kenya which seeks to establish a microfinance agro-dealer network to improve access to agricultural inputs and output markets for small-holder rural farmers. Farouk served as an international jury member of several prestigious international awards, is a guest lecturer at universities and business schools across North America, instructor for the AKF Internship in Microfinance and Micro enterprise (IMM) Fellowship Program from 2006-8, and a member of the Coady International Institute’s Markets and Livelihoods Advisory Group at St. Francis Xavier University in Nova Scotia, Canada. An Aga Khan Foundation Scholar as well as Sauvé Fellow, Farouk holds a Master’s in Environmental Studies from York University, a Post-Graduate Diploma in Business & Environment from the Schulich Business School, and a BSc. (Honours, First Class) in Environmental Biology from Queen’s University, all in Canada. As a Fellow, Farouk studied the emerging and evolving discourse in the area of social entrepreneurship.